Jesus Christ is our cornerstone. Through Him we have relationship with God the Father and the Holy Spirit. 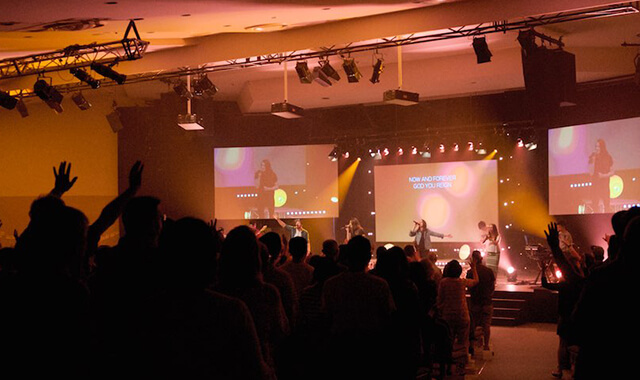 At Crossway, our priority is that nothing matters more than Jesus; that He is front and centre of our lives. We want to follow His example and to worship Him. Read Philippians 2:9-11, Revelation 5. In Philippians 2 we read that Jesus is the name above all names. What does this mean to you? How can you make Jesus front and centre of your life in a practical way? What might this look like? What might hinder you from making this a reality in your day-to-day life? How could you work around this? Read Revelation 5. This chapter is referring to Jesus as the Lamb of God who is worshipped on the throne. What does it mean to you to worship Jesus? We recognise Jesus as the source of life. How does this change our perspective of Him? It can be a challenge for us to consistently uphold the value that nothing matters more than Jesus, and that He is at the front and centre of our life. What is one thing that you can do this week to take a step towards this reality? How can Jesus be front and centre in your family? Every one of us wants a place where we can connect with other people, be ourselves and be accepted for who we are, regardless of where we are at on the journey of life. Church should be such a place, where anyone can come along as they are and experience the love of Jesus through others. Think of a time when you were in a social setting or with a group of people in an environment that was new for you. What helped (or didn’t help) you to connect in? What were your fears in going to this group? Read Genesis 2:18. What does this verse tell of the origins of mankind and the need for genuine community with others? What could be a deterrent for someone to enter into community with others? What can be the impact of this? Read Acts 2:42-47. We see in the early church a strong model of the impact of authentic community. What were some of the outcomes of the early church community that is described in these verses? What enabled this? What can we do today to emulate the type of genuine and authentic community that was so attractive in the early church? What is different today? Survey results show that one of the greatest fears people have in visiting a church is the fear of being judged, standing out or not fitting in. How can we help people feel at ease and experience authentic community when they walk in the doors of church? What is one thing you could do this week to show that there is room for anyone to experience authentic community at Crossway? Talk about who you could invite over for dinner, a BBQ or a picnic in the park. Share stories and celebrate with each other. When Jesus chose his twelve disciples, he did not seek out the scholarly or the ‘wise’ of his time. Jesus chose ordinary people – fishermen; a tax collector. Most were unschooled and uneducated, yet after spending time with Jesus, they were empowered to change the world. Jesus gave us all an example to imitate, demonstrating that ordinary people can create the greatest impact for His Kingdom. If we too spend time with Jesus and are willing to allow the Holy Spirit to guide us then we are qualified. He can and will use each one of us for his greater purpose. Peter and John were unschooled men who God used for his greater purpose. What can you learn from this? What was it about Peter and John that enabled them to speak boldly to the religious authorities? Read 1 Corinthians 1:18-22. Why did Jesus chose to use the “foolishness of this world” to spread his message? Why was this effective? In 1 Peter 2:9 the Bible says that we are all royal priests. What does this statement meant to you? How do you feel about being called a priest? Why might it be helpful for someone to have a sense of belonging in a faith community before they are willing to accept Jesus and believe? How could we help to facilitate this? Sit down as a family and do a DBM. Read John 6:5-13 a few times. Talk about what God might be saying through these verses, then talk about what you are going to do about it. Every one of us has unique gifts, talents and abilities. We are each positioned in a social framework that connects us to the many people within our various communities. God has given us an amazing opportunity to dream of a grand God plan that uses who we are and who we know to see innovation, impact and influence for his glory. What dream has God laid upon your heart? Share with the group. In Jeremiah 29:11 God is speaking to the nation of Israel with a promise for their future. How does this promise relate to us today? How might this encourage you in your personal walk with God? Read Hebrews 11:6. This verse implies that to live a life of faith we need to be willing to take risks for God. Discuss. Think of a bold innovation that you have seen in your lifetime that has changed the Christian landscape in a positive way. What was it about this innovation that worked? What was the risk? What has been the impact? What first steps could you take towards fulfilling your God given dream? God gives every one of us a unique position of connection and influence that we can use for his ultimate glory. How can you play a part to influence and impact others for Jesus with the unique dream that he has for your life? What could you do this week to start a journey towards this dream becoming a reality? There’s a T-shirt that reads ‘Life’s Short – Play Hard!’. While this may reflect a dare to dream, go-hard-or-go-home approach to life, it doesn’t give the full picture. Life is short, therefore we cannot afford to take even the breath in our lungs for granted. Instead we can respond to God’s goodness to us with both gratitude and a generosity of heart. David acknowledged with a grateful heart that God was the provider of all things. What can we learn from his prayer? What happens in us when we show our gratitude to God? To others? Read 1 Thessalonians 5:16-18. How can we still give thanks when our circumstances are not good? What happens we are prepared to so this? Read Luke 6:38. Jesus spoke of God’s greater provision coming when we are willing to be generous with what He has already given to us. Have you experienced this reality? Discuss. “Where your treasure is there your heart will be also.” (Matthew 6:21). What does this mean to you? Is this true? In Matthew 23:23 Jesus rebuked the Pharisees for being legalistic in their giving, but reiterated for them to continue to tithe without neglecting the more important things. How does tithing fit with your beliefs? Is it hard to do? When we respond to God with a thankful heart and acknowledge His goodness to us with gratitude and generosity it changes our perspective on our own circumstances, regardless of what we are currently facing. Take a moment now to give thanks and praise to God for five things that He has done in your life.